Owing to the large water reservoir and storage capacity you'll always have enough ice for all your needs. Medium and large ice cube sizes don't differ much. 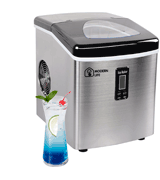 The ThinkGizmos ice machine will become a perfect choice for all party lovers. 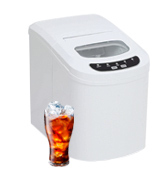 This appliance is able to provide you with a great amount of ice to chill your favourite drinks. Can be used in less than an hour after installation. Ice making capacity of 15 kg will meet the needs of the most demanding users. And a reasonable price-quality ratio will surprise you pleasantly. Sometimes ice cubes miss the basket. Stylish design coupled with functionality is what makes Andrew James ice maker machine an ideal option for every household. Its relatively light weight allows you to take it along with you on trips. 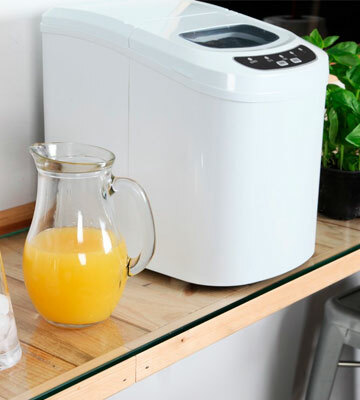 This compact white ice maker will look great in any kitchen, be it your home kitchen or a mini-kitchen in your trailer. 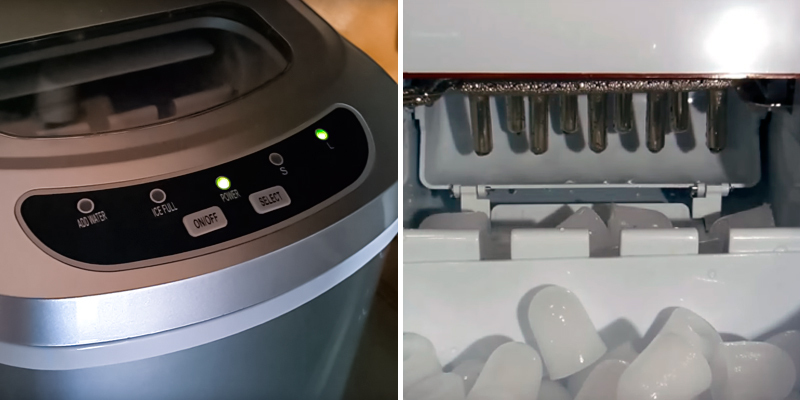 The device can make a batch of 9 ice cubes in just 7 minutes. The ice bin gets full rather quickly. 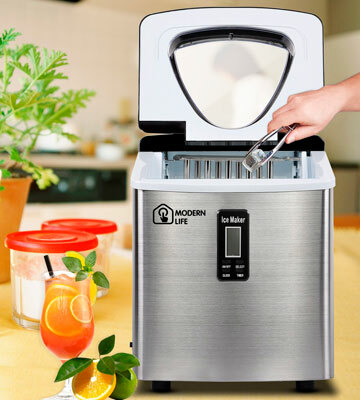 Being extremely lightweight and easy to use, this ice maker will come in useful at home and during trips. It can provide you with chewing ice for both alcoholic and non-alcoholic beverages. It can produce up to 20 kg of ice per day, whilst consuming just 95 Watts of power. 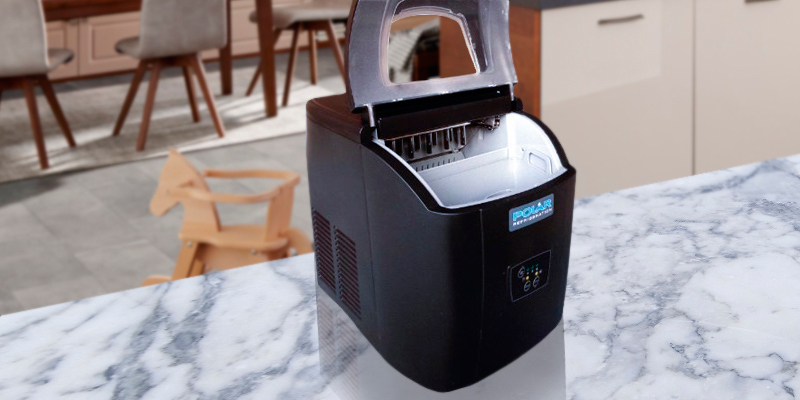 This amount of ice is a bit more than most other portable ice maker offer. When producing large cubes, it requires more time. 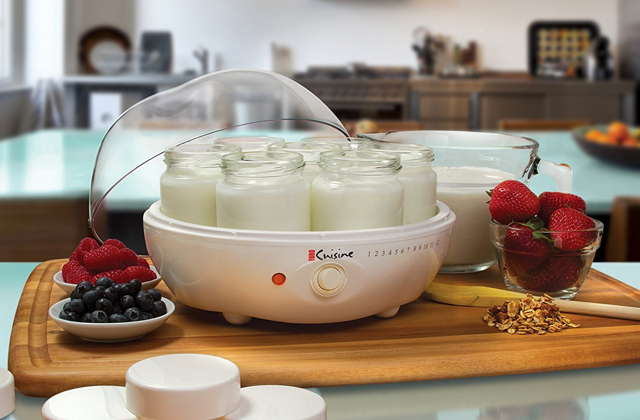 Modern Life offers a heavy-duty ice making machine that will be ideal for large gatherings. And since it can produce quite a lot of ice per day, it can be even used in small bars and restaurants. Water level indicator always informs you when it's time to add some liquid to the reservoir. As soon as you do it, the device enables. Are you going to hold a big party or spend an evening in a circle of close friends? If so, Polar manual ice maker will become an irreplaceable helper in providing you with cloudy chewable ice for your favourite drinks. If you have never used an ice maker machine before, we would like to assure you that ice making is quite a simple process. And the ThinkGizmos Ice Maker Machine comes to prove this point. The model features a capacious water reservoir designed to be able to contain up to 3 litres of water for hassle-free ice making. The ice storage capacity is also great and makes 1 kilo. This will be more than enough to keep producing batches of ice without refilling the container too often. 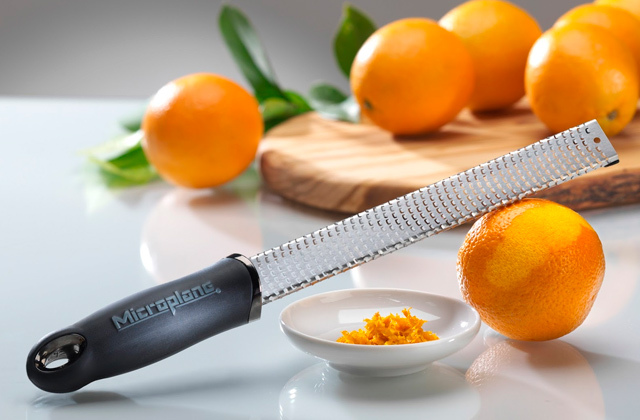 The operation cycle of the device equals 6-15 minutes only, which allows you to have ice cubes ready in a short time. And this allows you to get as many as 12-15kg per day. 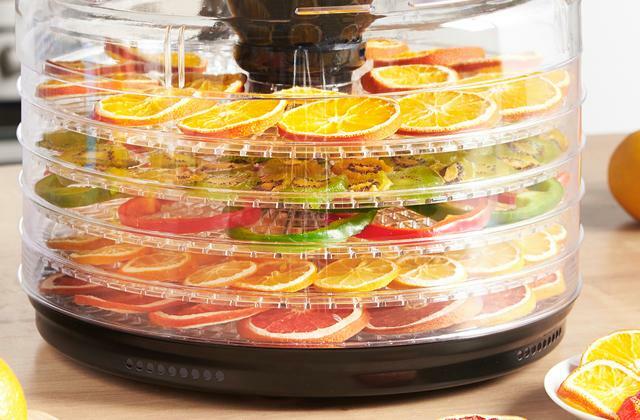 But the best part is that unlike its rivals, this machine can produce S, M, and even L-sized ice cubes for various desserts, cocktails smoothies, and more. Eager to try what an ice making is? 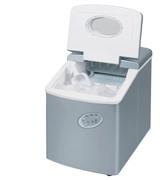 Then, don’t hesitate to choose the ThinkGizmos ice machine. 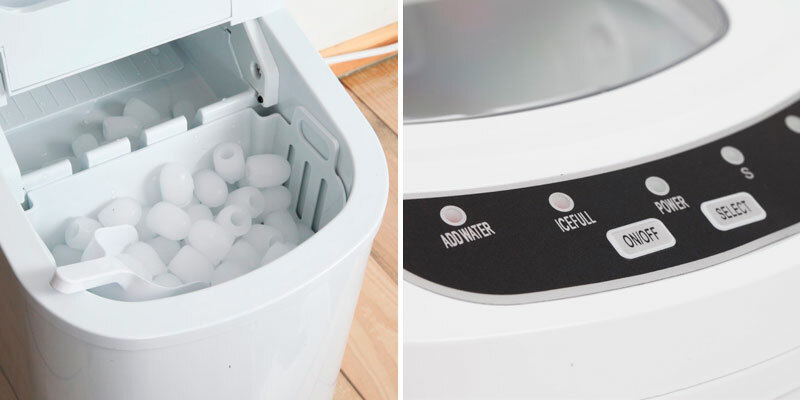 As soon as you make up your mind what ice maker to buy, take a sneak peak at ice buckets which will become a nice company to your new appliance. When hot season starts, we want to reduce the influence of burning sunbeams no matter where we are. To give you the chance to cool down even while being far from home, the Andrew James Compact Counter Top Ice Maker Machine was created. 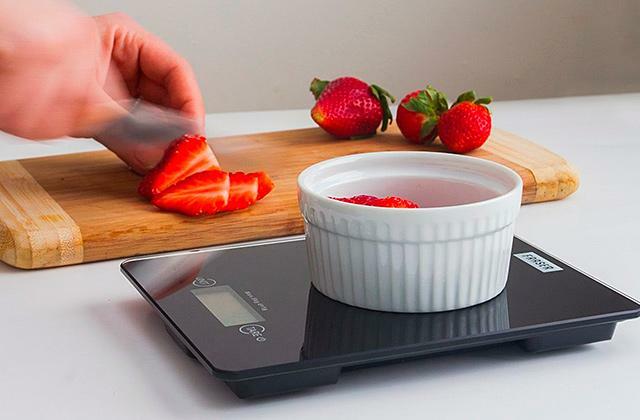 Its relatively light weight and compact size enable you to use it not only at home but even take it to go when travelling by car, boat, or yacht. At the same time, the productivity of this ice maker is second to none of its rivals. 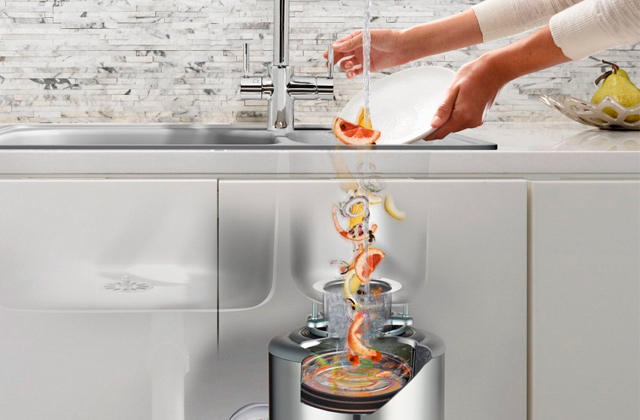 15-kilogramme daily ice making capacity along with 2.4-litre water reservoir and useful extras guarantee that this appliance will meet the needs of even the most demanding users. 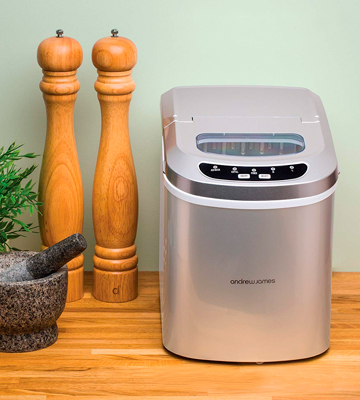 The last but not the least feature to take into account is that you can start using the Andrew James ice maker machine only 2 hours after transportation. All in all, this model will definitely suit your needs no matter whether you’re a calm homebody or a curious traveller. If you often travel by car we suggest you take a look at our selection of car air beds designed to make your sleep more comfortable when being away from home. If you are one of those enthusiastic travellers who enjoy lifestyle under a vehicle, you know for sure that some modern appliances can make for a perfect trip. 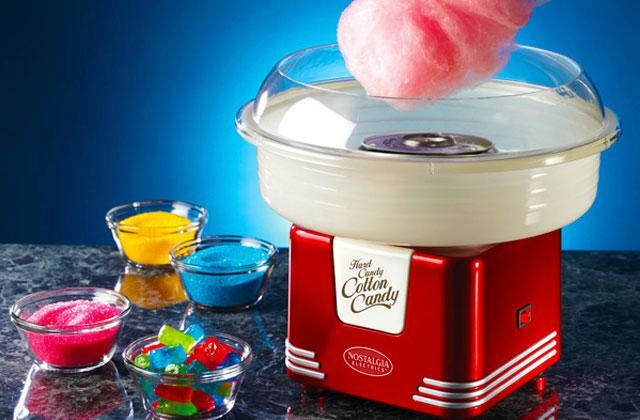 The Kenley Electric Ice Cube Maker is just like that! 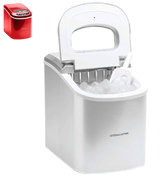 It's an extremely portable and compact ice maker with the size of 37.4 x 37.4 x 28.6 cm and weight of just 8.61 kg. And although its size and weight are small, its performance is HUGE. 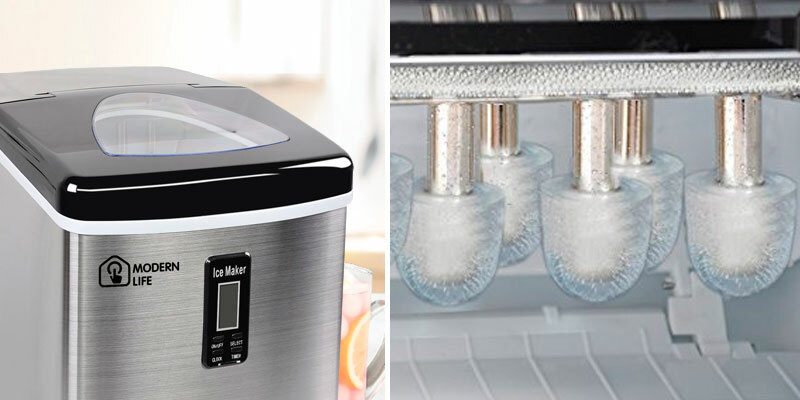 This ice maker can provide you with up to 12 kg of thimble-shaped cloudy ice per day or a batch of 9 ice cubes in just 7 minutes. The ice produced by this device can be used for cooling both alcoholic and non-alcoholic cocktails. And by adding some syrups to the ice, you can turn juicy cubes into delicious desserts that will certainly please your children. We recommend using small ice cubes for soft chewing desserts, however, if you prefer hard ice, you can make large-sized cubes and put them into a freezer for a few hours. 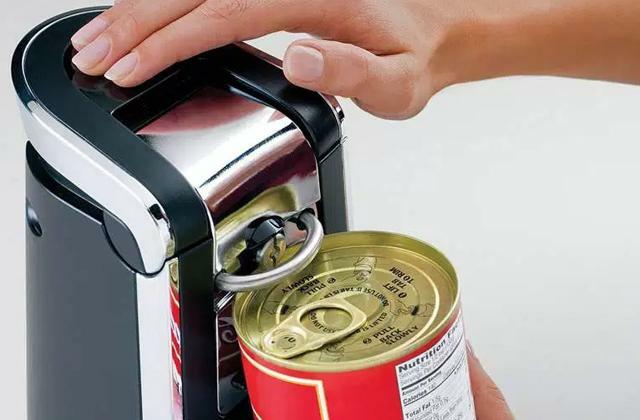 The device is very easy to use. Indicators on the control panel will notify you when it's time to add some water or empty the bucket. So whether you're going to throw a neighborhood BBQ party or planning a long trip in your RV, this handy device will always be ready to refresh you on any hot sunny day! 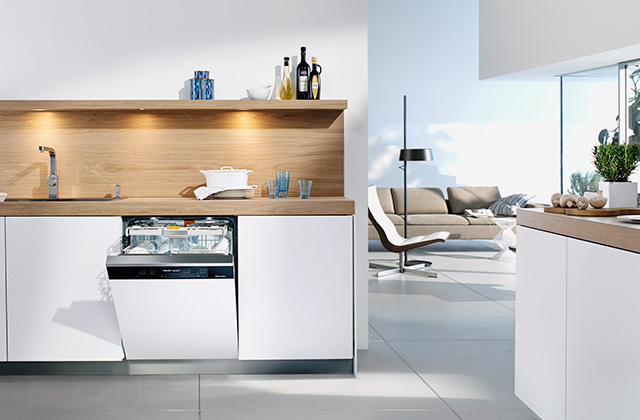 The Modern Life ice maker is a high-quality appliance that looks nice and matches very well with modern kitchen decor. And its brushed stainless steel casing is not only sleek-looking but also very sturdy and durable owing to its anti-corrosion properties. Every detail of the unit screams high quality and you'll notice that right away. The heart of the machine, floating water tank water system, is uniquely designed to ensure that no water will leave inside. And if the water tank gets empty during the ice making process, the machine will inform you about that. Also, it warns you when the ice basket gets full. Yet, its intelligence doesn't stop here. The ice maker is featured with a smart LED panel allowing you to set a timer or choose the preferred ice size. That is to say, the Modern Life can produce both small and large bullet-shaped ice cubes. And the best part is that it can make up to 20 kg of ice per day, whilst consuming just 95 Watts of power. This amount of ice is a bit more than its rivals offer, which makes the Modern Life machine an ideal pick for large gatherings. Also, it's suitable for small bars and restaurants. 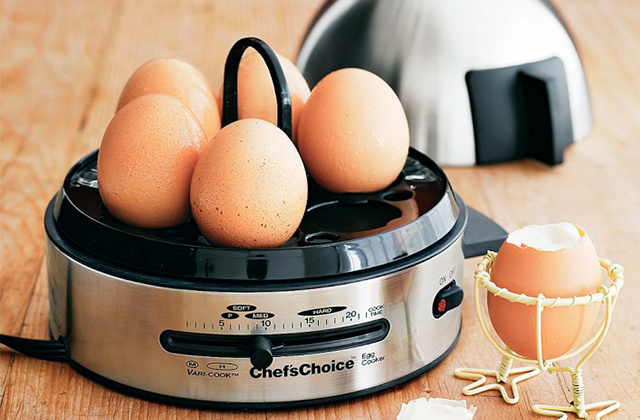 Although manufacturers of kitchen appliances tend to equip their products with the maximum number of useful features, it often happens that all we want is a simple device to perform its main functions properly. So, if you’re looking for simplicity, we recommend you to consider the Polar manual ice maker model. 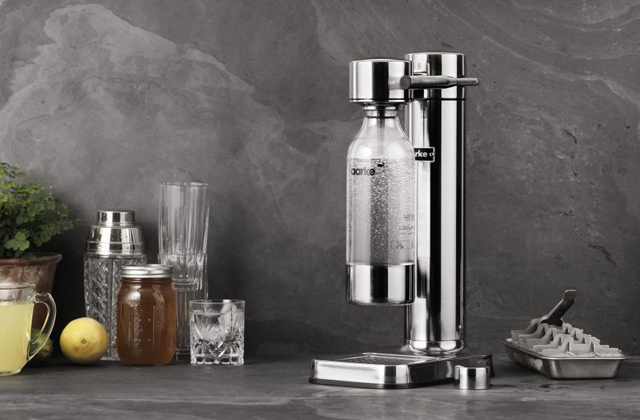 Being capable of producing 10 kilos of ice cubes a day and storing up to 1 kilo of ice at a time, it will become the perfect choice for family gatherings. 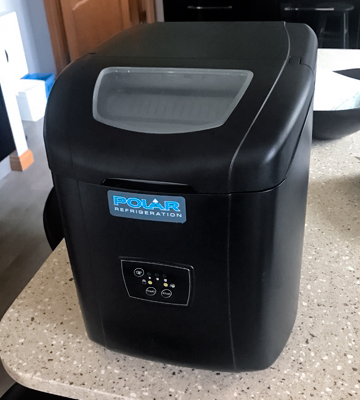 Note that the Polar appliance is designed for producing a so-called chewable ice that can be used in numerous ways. 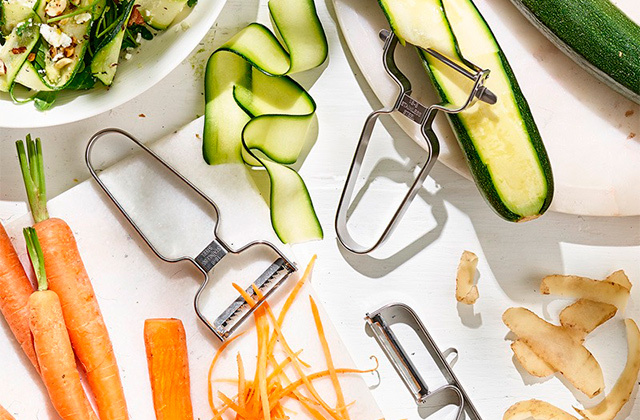 You can add it to your refreshing drinks, grind it in a countertop blender, make it tougher by placing it into a freezer, and use it for other culinary purposes. Furthermore, you’ll be able to get the first portion of ice cubes only in less than 6 minutes after the ice making process has started. Along with the ability to provide you with the necessary amount of ice, the Polar Ice Maker will also become a nice decor element in your kitchen interior due to its stylish matte black body. If you’ve ever thrown a cocktail party or gone through a hot day without a cold drink, you know how important having some ice at hand could be. This is where buying an ice maker can solve several problems in one fell swoop. ice maker is capable of producing ice of different shapes and sizes, suitable for multiple purposes. The variety of ice makers is vast so everyone can find the best pick for their particular needs. It’s even possible to take an ice making machine on a trip (provided it’s compact and light). You’d only need to plug it in an 110V power socket and nicely chilled beverage is guaranteed. Some portable ice makers require usage of power adapters to connect to 12V. Hopefully, our review helps you find an ice maker with the right specifications to fit your day routine and bring some chillness in hot, exhausting summer days. 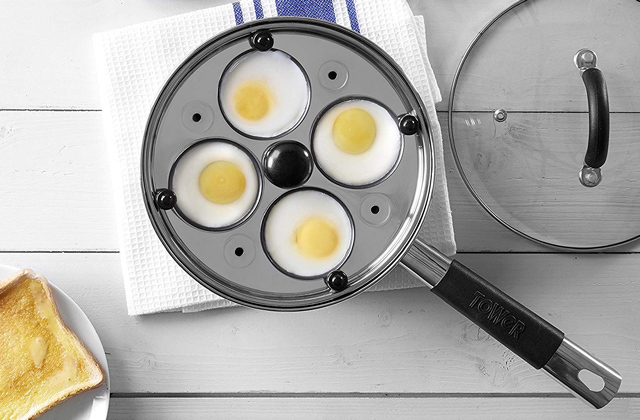 Those keen on barbecue, picnicking, and parties may also get interested in buying a camping cooking stove, a special appliance designed to be used outdoors. While if you often travel by car, we'd recommend you look through our selection of car cooler bags that may come in handy during long trips, especially in summer. In general, ice makers can produce cloudy or clear ice. Cloudy ice not only chills beverages but also absorbs them. Thus, you can chew such ice after you have drunk up your cocktail. As a rule, cloudy ice is thimble-shaped since it is made in portable ice makers with low-temperature metal pegs. During the ice-making process, these pegs are immersed in water, they accumulate some layers of ice and produce ice cubes that resemble thimbles with rounded ends. The length of such ice cubes is about 3.2 cm, but you can always adjust their diameter. Large ice cubes are 2.54 cm in diameter while medium and small ones are 2.3 cm and 2 cm respectively. Stationary and embedded ice makers can produce crescent-shaped cloudy ice cubes, but you'll have to connect these devices to a water pipe. And if you don't want to chew this cloudy ice, you can make it harder. Just take it out of an ice maker and put into a freezer for a couple hours. As for clear ice, it has a solid structure due to a completely opposite freezing technology. In order to get clear ice cubes, you should use flowing water since it is deprived of various impurities. As a result, your ice is clear. It should be noted that clear ice melts slower than cloudy ice. That’s why it is widely used in restaurants and bars. Ice production is the second important criterion you should take into consideration. This criterion is defined by a maximum amount of ice made per day, ice storage capacity, and operation cycle. If an ice maker produces about 10 kilos of ice per day, it can be considered powerful enough for household use. As for ice storage capacity, it indicates the amount of ice you can store without emptying an ice basket. Operation cycle length implies the timespan needed for making a batch of ice. Consider the conveniences and alerts of ice makers that make the maintenance of the device comfortable. If you wish to make some ice, you will have to plug the device in, select the required setting, and then switch it on. That's all! 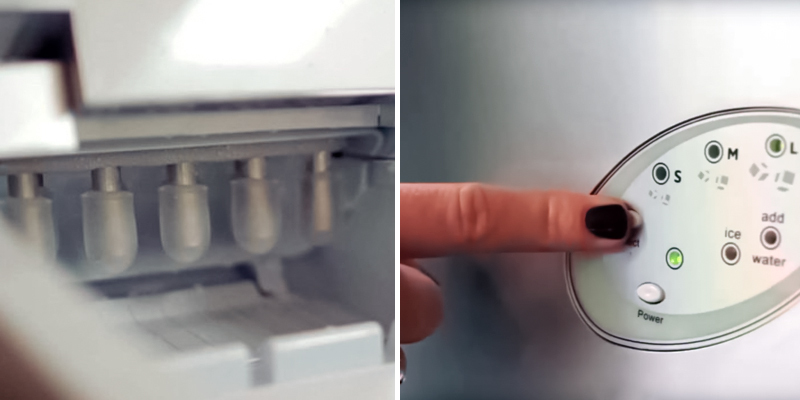 For the extra convenience, some ice makers are fitted with additional features. An ice basket and an ice scooper simplify the process of ice making greatly. As for cleanup, a side drain will help you significantly. By the way, most ice makers recycle water for further ice making. It is also cool if your ice maker has an Auto shut-off function because when the ice basket is full the ice maker automatically shuts off and no more ice is made. Some models can even alert you when an ice basket is full with ice. Finally, most of the portable ice makers have a low water alert. 1. Kristen Hicks The Ultimate Guide to Buying a Portable Ice Maker, Compact Appliance. October 5, 2016. 2. 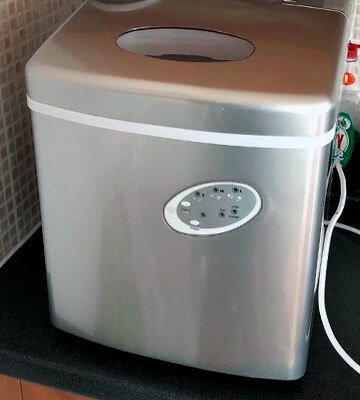 Ice Maker Buying Guide, eBay. March 3, 2016. 3. 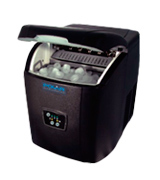 Portable Ice Makers: Value and Convenience, air & water. 4. Types of Ice Machines, Webstaurant Store. 5. The Commercial Ice Machine Buying Guide, KaTom.